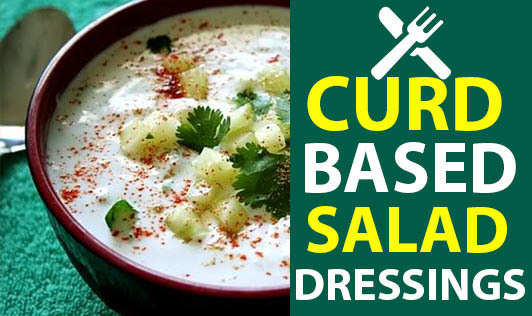 Check out these 2 curd-based salad dressings. They are low in calories too! Blend all ingredients well and store in a jar. Refrigerate and use with salads when required. Combine all the ingredients and grind to a fine paste. Note - Mint can be used in place of parsley.